Every time I think I've seen everything in the global warming wars, I am again surprised. Today, Vox, a publication with a 'global warming is a catastrophe' editorial stance, published a piece defending Leonardo DiCaprio's giant carbon footprint. That footprint, the size of Utah, -- only Al Gore's is bigger -- has been widely mocked in view of his Oscar® acceptance speech where he lectured the rest of us, "[climate change] is the most urgent threat facing our entire species." 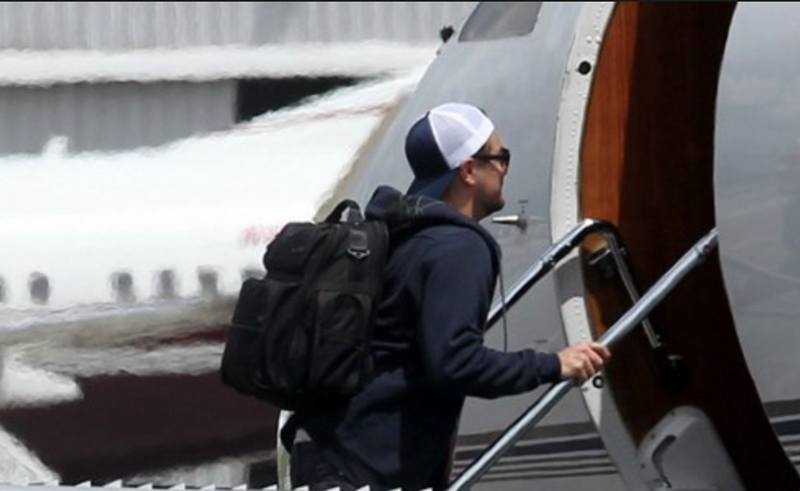 Even if extravagant by mere mortal standards, DiCaprio's personal emissions are a fart in the wind when it comes to climate change. If he vanished tomorrow, and all his emissions with him, the effect on global temperature, even on US emissions, even on film-industry emissions, would be lost in the noise. Great! If Leo's giant CO2 emissions don't matter, then the rest of us should not worry about ours! 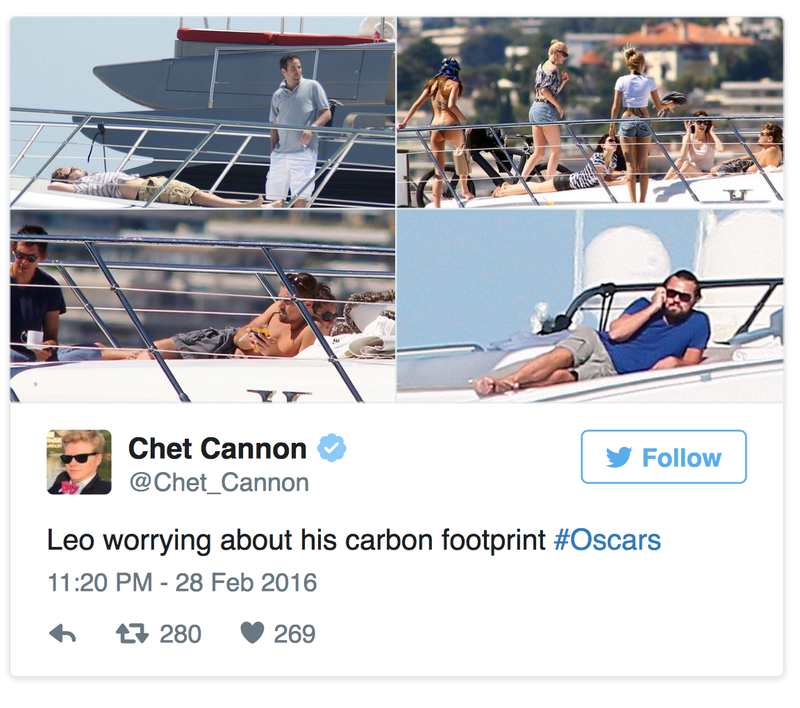 Is there any evidence that DiCaprio has advocated personal emission reductions or told anyone they ought to forgo planes or boats? If so, I haven't seen it. “So to all the mayors and governors in this room today, I implore you to join with your peers to commit to moving to no less than 100 percent renewable energy as soon as possible. Do not wait another day. Last time I checked, Jet A (the type of fuel used in private jets) is a fossil fuel. I'll believe global warming is a crisis when the people telling me its a crisis start acting like it is a crisis.